This is a before and after of another kind. I know this is primarily a blog about pretty interiors and diy projects, but this was just too good not to share. When something claims to be too good to be true, it usually is right? Well, when a friend on my soccer team asked me if I would like to try some age defying night cream for 5 days I said, "that's ok I'll pass"
I mean really, I have been happy with my Oil of Olay. However, when I found out I could try it out for 5 days free, I jumped all over it. So, in the parking lot at soccer she handed me a bottle and then snapped my photo of my eye area. and that she would take photos when I saw her 5 days later. used the night cream every night for 5 days and then met back up with her to give her the bottle back and get my "after" photos. I swear these photos are not doctored! This was only after 5 days! Not only did the lines around my eyes improve but look at my skin texture! It shrank my pores, made my skin tone more even, and helped with sagging. I was seriously so impressed I bought a bottle and bought my mom a bottle for mothers day. When I gave a bottle to my mom I told her I wanted to take her before and after pictures as well. These were her results after only 7 days. First, the right side of her face. Look at her wrinkles getting smaller and the puffiness and sagging has gone down tremendously! I cannot wait to take her picture a month in! I am so impressed with this product that I had to share on here! I have never used anything that even comes close to delivering these results this fast. Every morning when I wake up I feel like I just had a face lift. If you would like to get your own click here. It's called Nerium age defying night cream. It's a one step, once a day lotion that you rub all over your clean face before bed. It is spend, but cheaper if you sign up for a monthly bottle, which is what I am doing. You can cancel at anytime and there is a money back guarantee if for some reason you react to it. one negative thing to say about it. Back tomorrow with Thrifty Thursday! I tried to order some, but I keep getting network error. I want to start by saying I LOVE your blog and I LOVE your style. I did some research on this product and apparently the long term effects are worthless. It irritates me that you are clearly a brand partner in this and will profit...Amazon sells it for a lot cheaper. Thank you for sharing Melanie. I'm always looking for something to keep the smile lines at bay! Just like the before and after photos that I see all over Facebook, none of these shown in this post were taken in the same lighting or to the same degree of focus. Harsh light will accentuate flaws, and soft light will mask them. Whether you did it on purpose here or not, that's what your photos show. Thank you Dana! Isn't it wonderful?! I wish I would've found it years ago! 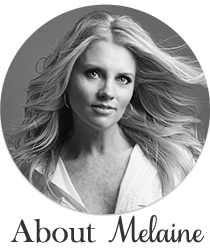 Thanks Melaine - I love your bog and I truly appreciate you putting yourself out there for us. I'm always looking to try something new. And who knows, this may or may not work but it's worth a try. My skin is going to age no matter what, anything to make it look better as it does, then YAY! It's a shame that people have to post negative comments. You can find negative reviews on anything if you look for them. Not everything is for everyone and if it's not, then cool, if someone likes it than awesome! no need to be a "Negative Nancy" as Dana put it. This is not meant to be a "mean comment" but if you zoom in on these "after photos" you can see the photoshop pixel lines. It was pretty obvious to me on first glance but to be sure I took a screen shot and then zoomed in. There was no mistaking the exact portions of the photos that were edited. I don't think Hartwood Roses meant to be mean or malicious, just pointing out that the photos don't seem authentic. That said- I love your blog and your style! Kara, say what?! These are 100% not photoshopped. So your commebt that is not meant to be mean, is. In fact, I don't even own photoshop. These were taken with my phone. I'm not making any money off this post or product. I genuinely like it and thought I'd share. End of story. Well then it looks like there is a photoshop/photo editing bandit on the loose. I just looked this up on Amazon. Yes, you can get it cheaper on there. So what? What was interesting to me was the GOOD reviews. I love checking amazon reviews before purchasing. Thanks for sharing this Melaine!! Thank You for your concern Rhonda and I appreciate your comment that I don't need it. I actually did my research on it since I did hear that as well. There are versions Of the olelander and the process for the patent is an extraction. Completely safe. I love the product. Here in the UK it is sold on Amazon for around £180 for 30ml! Taking advantage of vulnerable aging middle aged women in a teenager obsessed 1st world. I can name 100 products that would improve your skin in 5 days, switching from Olay, a drugstore brand with inferior ingredients. These results, however, are amazing! The ingredient doesn't sound bad, except for I never use anything with carrageenan. It's the same reason I choose Silk brand almond milk over Blue Diamond. I definitely wouldn't use use something known to activate carcinogens, especially daily. As for the Nerium oleander, I don't know much about it other than I'm allergic to oleander! It's hard to find products with all superior and safe ingredients. I think you look beautiful, and what amazing results! However, since you're coming from Olay, I think there are many products that would give you results that appear so dramatic. It's definitely time to upgrade and try new things. You'll be amazed what's out there. It is very obvious that your "after" picture was taken with much less focus than your before picture. Just look at the eyebrows - in the before picture you can distinguish each individual eyebrow hair while the "after" picture shows a blurred eyebrow with no individual hairs distinguishable. It was taken with less focus or with a filter or something. Also, in one comment you state that the ingredients are 100 percent safe - however, there is no scientific evidence of this. No published studies with data showing that this product is safe or effective. You must really think your readers are gullible. Shame on you. I'd love if you'd share your research on this product's safety. I was discovered it through a friend and was impressed by her results. But when I did the research, I found no information about the products safety. There was only one set of product testing that I could find and it was only for 30 days. I'd love more information so I can feel comfortable enough to try this product. Thanks! Melaine, just curious if you are still using this product. I've heard nothing but positive results from it. I would like to know if you are still seeing the same results after a couple of months use. Thank you!!!!! If you don’t have a sufficient amount of reviews for your product you are missing out on important sales. You can Buy Amazon Reviews for your products to ranking right keywords. Product Thrive can help you to get 4-5 Star real and 100% verified Amazon reviews. MPBSE Dept. soon issue the date of MP Board 12 Board Result 2017 & also Download CTET Result 2017 & those who want to download Rose Day 2017 Wall Paper Click here. According to reports from the BSEP board which was released by Minister of Andhra Pradesh State P.Narayana, 79.16% students have cleared the examination. Great info dear. I am really very happy to read this post. I hope you will be feel very happy when your valuable readers will get important information here. By the way Bangladesh education boar hsc result will publish very soon. Every students can cehck their result from official website of Bangladesh education board. Thanks for sharing the very interesting post. This post very good. please update more information.